There are a number of places all around the world where you can buy a new house. From places in Europe to Asia and America to Australia you will certainly find a property somewhere that was meant for you. It’s what to do once you’ve found that property when you need to know the right things that you should be doing. You need to buy your property with CARE. When you buy a new property you should enter into it with Caution. Secondly you should always seek Advice as any local laws can be quite complex and difficult to understand. Always do your own Research and then before you take it any further you need to Evaluate on the basis of you research and make sure that you’re happy to carry on. If you’re in the process of looking for a shipping company to help you with your move abroad then you need to look no further than the award winning Robinsons International Removals. Robinsons was founded in 1895 and they have now got well over 117 years experience in the industry. 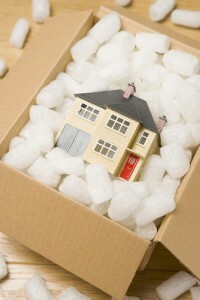 Currently at the top of their game when it comes to overseas removals, Robinsons can definitely help you move abroad. One piece of advice that is highly recommended when you buy a property abroad is to always get independent legal advice. The reason being is that there are many places in the world that have quite complex laws and legislations and it’s always better to get someone in who knows what they’re doing as the last thing you want is to have your overseas removals dream hampered.